Beech Grove is a city of more than 14,000 people and is part of the Indianapolis metropolitan area. Beech Grove prides itself on being a progressive, family-friendly community. To protect your family and property from the potential dangers, damages, and diseases that the insects and rodents also living in this area can inflict, partner with the pest control experts at Action Pest Control. We are a QualityPro certified company that is committed to providing each of our individual customers with modern, effective pest control services in a friendly, professional, and timely manner. 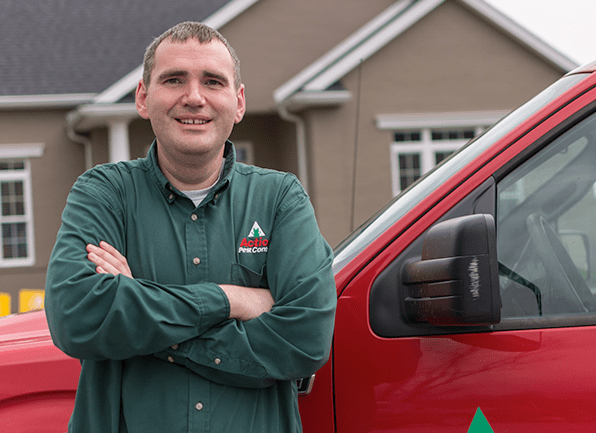 Whether you are looking to protect your Beech Grove home or business from pests, we have the services available to meet any of your pest control needs. Essential pest control- This program provides customers with exceptional exterior pest defense services and cobweb removal. Advanced pest control- This program provides customers with both exterior pest defense and interior pest treatments. Complete pest control- This program provides both exterior pest defense and interior pest treatments, plus the benefits of termite monitoring. To discover which pest control program is the right fit for your unique Beech Grove home, get in touch with us today. Adults, which are reddish-brown in color, have a flat oval shape and six legs, hiding in the seams of mattresses, box springs, and upholstered furniture, in the cracks of walls and wooden furniture, and in other areas of your home like in drawers or underneath of piles of dirty laundry. Tiny droplets of blood on linens, mattresses, and box springs. These droplets are left as the bed bugs feed. Piles of molted skins (bed bugs shed their skins as they grow) underneath of pillows, mattresses and box springs, or along the floor. In the case of a large infestation, you may notice a musty smell in the air of your home. You or family members waking up with unexplained bug bites. It is important to know that many people don’t react to bed bug bites, so this is not an entirely accurate method of identification. To eliminate and control bed bugs in any Beech Grove home or business, Action Pest Control provides highly effective inspection and treatment services that will solve any size bed bug infestation from small to large. We have the bed bug services you need to have peace of mind knowing that your Beech Grove property is completely free of bed bugs. Give us a call, to learn more today! We take pride in offering our commercial customers tailored pest control solutions that meet the specific needs of their unique business. Our trained and certified pest professionals can provide exceptional pest protection for a wide variety of businesses, and they are always supported by supervisors, managers and board certified entomologists who frequently inspect each account, ensuring the highest level of service. Contact us to learn more about our commercial pest control services for your Beech Grove business! Treatment for termites using the highly effective Termidor®, which eliminates termites through both ingestion and contact. A three-month termite elimination inspection to make sure that the infestation has been completely eliminated. An annual termite inspection to ensure that your home has remained termite free. Contact the termite professionals at Action Pest Control today to schedule a termite inspection for your Beech Grove home and property; when it comes to termites the best action is to be proactive!